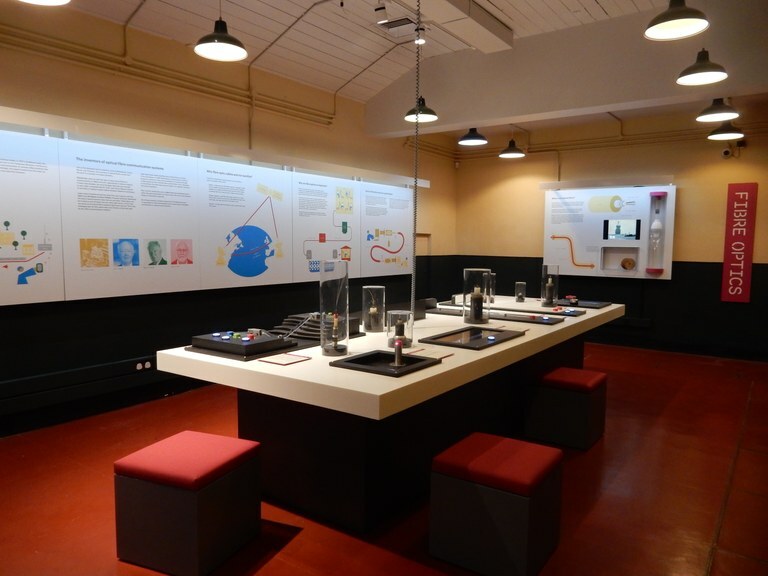 Following a CDT competition, CDT PhD students Adam Funnell and Tom Gerard from UCL Optical Networks Lab have had their winning designs turned into new exhibits to communicate the story of global communications to the general public at Cornwall's Telegraph Museum. Promoting public engagement in science and engineering is very important for the CDT and now the designs of two UCL PhD students have been turned into real, interactive new table-top museum exhibits at Portcurno's Telegraph Museum in Cornwall. Adam Funnell and Tom Gerard, students in UCL's Optical Networks Lab led by Professor Polina Bayvel, both won a CDT competition in partnership with the Museum launched in 2016 to explain the concepts of optical amplifiers and Wavelength Division Multiplexing in a simple and engaging way. An idea to use the teleogeography site to demonstrate the scale of global fibre communication also draws on UCL optical communications expertise. The Telegraph Museum is described as 'one of Cornwall's best kept secrets' on its website, but welcomes over 20000 visitors per year to learn about the central role that Cornwall played in the global communications revolution. The Museum tells the fascinating story of the dawn of the age of worldwide communications from the very first global network to the modern day web of fibre optic cables. You can find out more about the museum at https://telegraphmuseum.org/. Why not pay it a visit if you are ever in the south west of England on holiday? !